Currently (worldwide and in Kuwait) children grow up in smaller homes; often an apartment with limited outdoor access. Parents started using electronics as a means of keeping their children busy. But then in comes the wicked psychotherapist (i mean me, no offence other psychotherapists) telling them, PLEASE limit video and general electronic usage, to 2 hours/day maximum. I may even suggest 1 hour/day for children in private schools, as their day at school is longer, therefore 2hours/day is excessive. There are many reasons for limiting this usage, but today I am wish to write about something else. 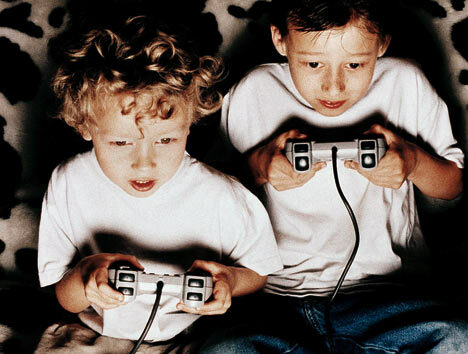 Most parents agreed with me that limiting electronic games is a good idea, but some parents have said that active video games are the best tool to get their children to move and be more active. Is that true? A new study, published in the March 2012 edition of Pediatrics magazine, suggests that active video games like Wii do not necessary get children to be more physically active. They do note, however, that if these games are used as an intervention method with a set time daily, it might help increase their physical activity (basically using them as a prescribed exercise tool).